" This is not just prioritizing on quantity but also quality"
Starting in November until December 2018, the Taman Ismail Marzuki (TIM)'s Management Unit is going to hold art events in the TIM, Cikini, Central Jakarta. Imam Hadi Purnomo, Head of Jakarta TIM Art Center Management Unit stated that those events are performances of dance, theater, sastra, music, art, and so on. They will be held in Graha Bhakti Budaya, Galeri Cipta II, Galeri Cipta III, Jakarta Theater, and other venues in TIM, Thursday (10/18). "This is not just prioritizing on quantity but also quality," he explained. To achieve the quality of the arts event, he collaborated with the Tourism and Culture Dept., Jakarta Arts Council (DKJ), cultural institutions, artists, and other parties. 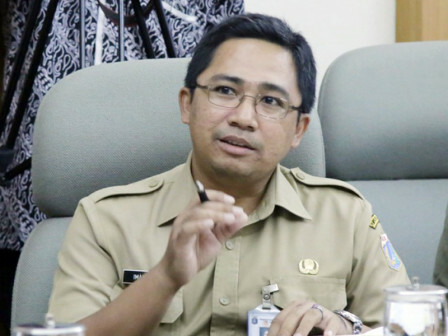 Irawan Karseno, Chairman of DKJ expressed that he also wants to involve related units such as Jakarta Provincial Government, Tourism and Culture Dept., Creative Economy Agency (Bekraf), Education and Culture Ministry, and foreign institutions such as British Council, Japan Foundation, Goethe-Institut Indonesien. "The most important thing now is how we formulate and strengthen these art programs with strong content and build a culture-based tourism development platform," he stated.